For more than 30 years, helping individuals overcome legal problems. 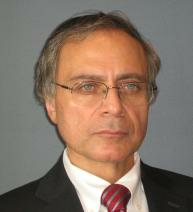 Thomas P. Elias is licensed in Maine, Massachusetts, and New Hampshire, and has been in practice for over 30 years. Attorney Elias is the founder of Elias Law Offices located in York, Maine. Attorney Elias has achieved a Distinguished Peer Review Rating by Martindale-Hubbell, through evaluations submitted by judges and other lawyers. He is rated among the top 2% of criminal defense attorneys by the American Society of Legal Advocates. Attorney Elias was appointed, and presently serves as a member of the Fee Arbitration Commission of the Board of Overseers of the Bar of the Maine Supreme Judicial Court, and has also served as a Member of the Maine Medical Malpractice Tribunal. Attorney Elias was appointed as a Criminal Complaint Justice by the Chief Judge of the Maine District Court in 2010, and continues to serve in that capacity. Attorney Elias is a member of the Maine State Bar Association, the Maine Trial Lawyers Association, the Massachusetts Academy of Trial Attorneys, and the New Hampshire Bar Association. He is a Member of the York County Bar Association, and serves that organization as a Member of the Board of Directors. He was appointed, and presently serves as a Member of the Continuing Legal Education Committee of the Maine State Bar Association. Attorney Elias is a graduate of Suffolk University Law School in Boston, and is known for his trial skills and as a talented negotiator, and has lectured in seminars attended by other lawyers in the areas of personal injury and civil litigation. Elias Law Offices offers legal services in the areas of Criminal Defense, Personal Injury, and Family Law. © 2019 by Elias Law Offices.